Gorgeous,well maintained and restored historical home! Hardwoods are throughout this magnificent piece of history. Lots of space and plenty of natural light enters this house through its gorgeous original windows. This amazing home has so much of the 1920s charm with a butler's pantry,elevator,and basement. It is complete with a garage apartment equipped with a bathroom and kitchen. Also includes a pool with plenty of space for entertaining. Beautifully landscaped corner lot and a driveway that circles the house. 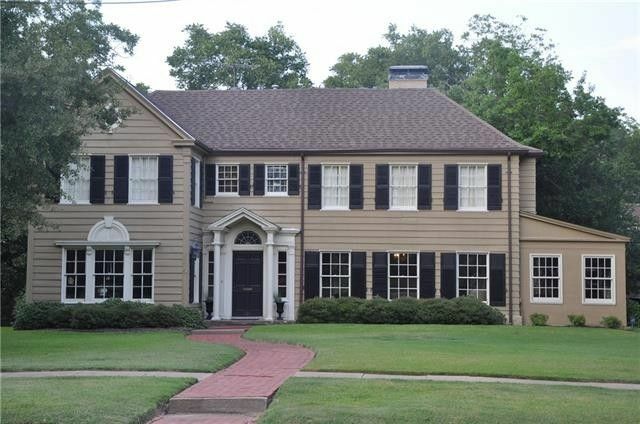 Do you love knowing the history of a home?Owner has original blueprints and picture of the original owner that stays with house.This is a must see located on historic Griffith Avenue. Come take a look! Directions: From Moore Traveling east turn right on 9th street, follow around to Griffith and make a right, house is a couple of blocks down on the left.